No one likes to get weaker. But if we don’t do anything about it, research shows we, “lose an average of 5 percent of our muscle mass every 10 years after the age of 35”. Even worse, muscle loss increases our risk for bone fractures and falls with age. So in this post, I want to share some trainer insights for toning muscle and building strength based on the new science of exercise genetics. A brief personal story of how I tested my exercise genetics. 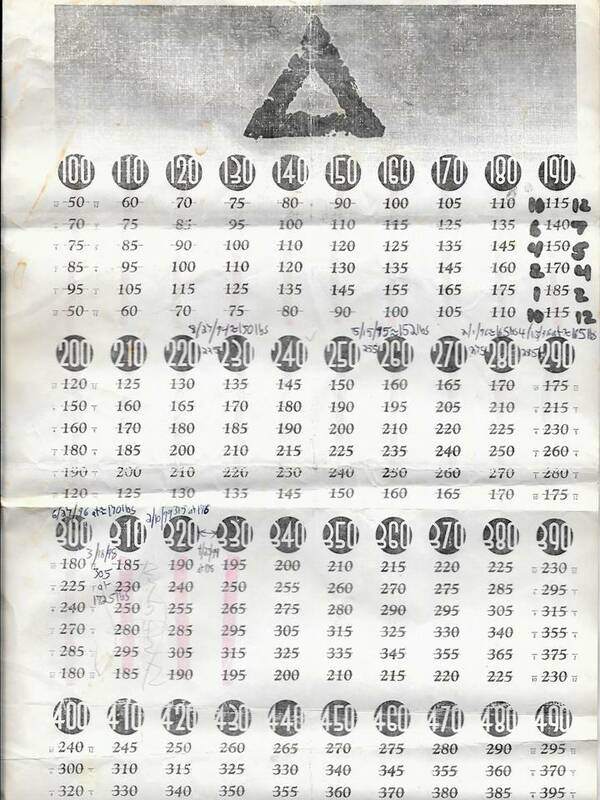 The original training program, (picture included) I used for over 20 years. Before and After pictures over a 24 year span of training. The strength training book and nutrition books I’d recommend to learn more. The diet plan I followed from age 18-24. It’s the genetics we have to exercise. Some of us have exercise genetics more favorable for power and strength training like lifting weights and sprinting, others have a DNA better suited for endurance like running long distance. Most of us fall in between. Surveys show that while half of us exercise regularly, only 10% of us see measurable benefits. So what are the 10% doing differently to see measurable results? According to what I’ve observed for over 20 years, most of them have mastered their exercise genetics. They learned their body’s exercise genetic potential and picked exercises that worked for their body. Research shows that our ability to exercise and get benefits vary from person to person. The main reason is due to genetic differences. For example, one study released in 2013 showed that power lifters have a genetic advantage for strength. Because our genetics are different, we need to know our exercise genetics to figure out the best way to train for our body. There’s 2 ways to Test your Exercise DNA for Strength. Get a muscle biopsy at a physiology lab, which is a bit painful and difficult to set up. A Do-It-Yourself (DIY) method. I’ll show you the DIY method in a second. It’s easy. Before you try this test, you need to know a couple more things about exercise genetics. Fast twitch (FT) – These muscle fibers are quick, powerful and fast, but run out of steam quickly. Examples of people with lots of FT include body builders, sprinters, power lifts, and high jumpers. FT muscles don’t use oxygen well, which is why they run out of steam quickly. (For FT, think rabbit). Slow twitch (ST) – These muscle fibers are slow, but can work for long periods of time. Examples of people with lots of ST include long distance runners, triathletes, cyclists, and long distance swimmers. 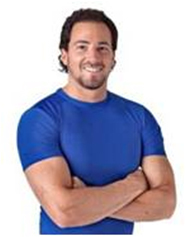 ST muscles are designed to use oxygen more efficiently than FT, which allows them to go for long periods of time. (For ST, think turtle). Most folks have a pretty even mix, half FT and half ST. When it comes to learning your exercise genetics and strength potential, it helps to know if you’ve got more FT, ST, or a 50-50 mix. This helps you plan your strength training workouts. If you are struggling to tone-up, your current workout might not be best suited for your DNA. To find out your exercise genetics, try this simple strength test. In a gym or workout facility, choose either a leg extension machine or a bench press machine. (To see the Top-Rated Home Elliptical Machines and Treadmills from Consumer Reports last year, click here). Step 1: Go to the machine you prefer. You can do both if you’d like. Step 2: Select the heaviest weight at which you can do just a single rep with GOOD form. Step 3: Do 1 rep – with GOOD form. If you can do more than one rep, it’s too light. The goal here is to find the heaviest weight you can possibly lift with GOOD form, 1 time only. It’s called a 1-rep max. Step 4: Take a 5 minute break. Not for coffee and donuts, though. Just chill out, knowing you’ll return to lift again. Step 5: Return to that machine exactly 5 minutes later and set it to a weight that is 75% of your 1 rep max. (If you lifted 100 pounds one time, reduce it to 75 pounds). Step 6: At 75% of your 1-rep max, do as many repetitions as you can do with GOOD form until you reach complete fatigue. Step 7: Note the number of reps you lifted at 75% max. If you managed 8 to 12 reps with 75% of your 1-rep max, you have the average 50-50 mix like most folks. If you did 1-7 reps, you probably have more FT (fast twitch muscle fibers). If you did more than 12 reps, you likely have more ST (slow twitch muscle fibers). This gives you an idea of your exercise genetics for strength. Next, let’s put that knowledge to use for better results for muscle tone and strength development. Based on your results, let’s figure out the right weight and number of reps for your exercise genetics. If you have more FT (fast twitch), choose weights that you can do 4 to 8 reps per set. These 4 to 8 reps should be challenging. If you can do more than 8 reps, the weight is too light for your training program. By rep number 8, your muscles should be tired. If you have more ST (slow twitch), your body is likely engineered for endurance. If this is the case, select a weight that allows you to complete 13 to 16 reps with proper form on each set. 13 to 16 reps should challenge you. If you can do more than 16 reps, it may be too light for your body. If you’re a 50-50 mix of FT-ST, pick a weight that you can lift with good form for 8 to 12 reps. Again, if you can do more than 12 reps, it’s probably too easy for you. Train as your exercise genetics dictate. If you’re more FT, aim for fewer reps per set, like 4-8 reps per exercise. And if you’re on the ST spectrum strive for 13-16 reps. If you’re a mix of FT-ST, 8 to 12 reps will work. Understand the SAID principle – In physical rehabilitation and sports training, the SAID principle asserts that the human body adapts specifically to imposed demands. In other words, given stressors on the human system (like weights or machines), whether biomechanical or neurological, there will be a Specific Adaptation to Imposed Demands (SAID). In simple terms, SAID means that when you stress your muscles with weight training exercises, they will adapt by getting stronger and more toned. If you don’t stress them enough, they won’t get stronger or more toned. Getting stronger and building muscle is all about stressing the physical body with weights and resistance machines to the point that it becomes fatigued. In fact, a recent study showed that for most of us, as long as we reach a personal exertion level of 8 out of 10 (meaning the exercise is very difficult for us, regardless of the weight we choose or number of reps it takes, overall health benefits will be similar. Learn Some Strength Training Anatomy & Sport Nutrition – If you can’t work out with a trainer, here’s a book I’d recommend to better understand strength training anatomy. It’s got all the pictures and descriptions you need to build muscle and strength. It’s a modern version of the same book I used when I first got started. When it comes to understanding nutrition, I’d recommend Competition Nutrition Now. Train Each Muscle Group (shown in the book) at least once per week. Do 2-5 sets of each exercise with a rest of about 30-90 seconds in between each set. The goal for strength improvement and muscular development is to be challenged by the last rep or two. For best results, try to strength train with weights and resistance machines at least 2-3 times a week. Be sure to rest. Overtraining will limit your results. Remember, days off are important for the body to recover and build muscle. 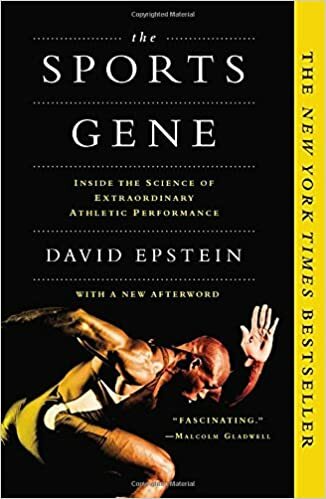 (If you liked this exercise genetics article so far and want to explore the topic deeper, check out The Sports Gene). At 17 years old, I began lifting weights with a maximum bench press of about 50 pounds. My mission was to be as strong as I could without ever taking any type of performance enhancing drugs. I wanted to test my exercise genetics and given strength potential by pushing it to the limit. By age 19, I learned my body was more FT than ST. So to master my exercise genetics for strength, I followed a strict lean body diet until I was 24. That diet can be found here. I also used a “pyramid style” of training method shown below. This particular chart is for the bench press. Each dark circle shows a goal weight, and just below it, the required weight and reps to achieve it. My Original Pyramid Bench Press Chart from 1993. For example, from the chart, by age 19, I could bench press 225 pounds when I weighed 150 pounds. At 20, I achieved a bench press max of 255 pounds weighing 152 pounds. At 21, I reached a max press of 275 weighing 165 pounds. Mid 21, I pressed 285 with a body weight of 165 pounds. Later 21, I pressed 300 weighing 170 pounds. At 23, I pressed 305 weighting 172.5 pounds. 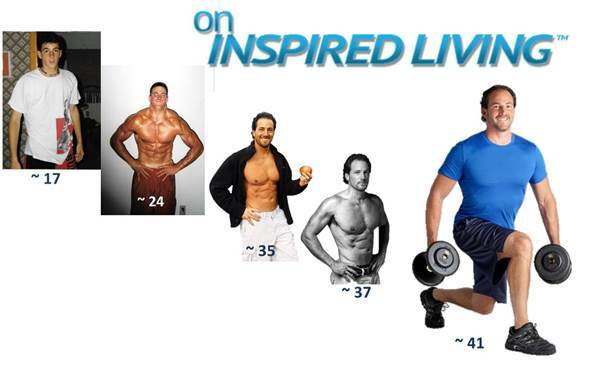 At 24, I pressed 315 pounds weighing 176 pounds. Mid 24, I pressed 330 pounds weighing 178 pounds. After that, I realized my body reached its exercise genetic strength potential. And to keep muscle tone and strength with age, regardless of exercise genetic potential, I recommend virtually all clients use foam rollers to get rid of muscle aches and pains to optimize muscle function. For more about how to use the foam roller to get rid of muscle aches and pains to optimize exercise performance, click here. To find out your exercise genetics for strength, try the DIY (Do-It-Yourself) Method. Use the pyramid guide I provided to help you along the way. P.S. Please share my mission to help others realize their genetic potential for muscle tone and strength. Click SHARE to spread this message on social media.